ISBN 978-3-95663-117-7 2017 | E-Book (PDF), fbg. | 58 S., engl. Digital components are increasingly integrated and embedded into products and services that are in everyday usage. The term Cyber-Physical System (CPS) describes hardware-software systems, which tightly couple the physical world and the virtual world. They are established from networked embedded systems that are connected with the outside world through sensors and actuators and have the capability to collaborate, adapt, and evolve. Cyber-Physical Systems find their application in many highly relevant areas to our society: multi-modal transport, health, smart factories, smart grids and smart cities among others. The deployment of Cyber-Physical Systems (CPS) is expected to increase substantially over the next decades, holding great potential for novel applications and innovative product development. The CPS community foresees large potential in creating a competitive edge for Europe, serving existing and new markets across different industries and sectors. Digital technologies have already pervaded day-to-day life massively, affecting all kinds of interactions between humans and their environment. However, the inherent complexity of CPSs, as well as the need to meet optimised performance and comply with essential requirements like safety, privacy, security, raises many questions that are currently being explored by the research community. 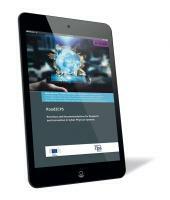 This handbook was developed within the framework of the European project Road2CPS, coordinated by the Steinbeis-Europa-Zentrum, Germany in collaboration with six partners from four European countries (Loughborough University, UK; Newcastle University, UK; CEA, France; Fraunhofer IPA, Germany; AnySolution, and ATOS, Spain). 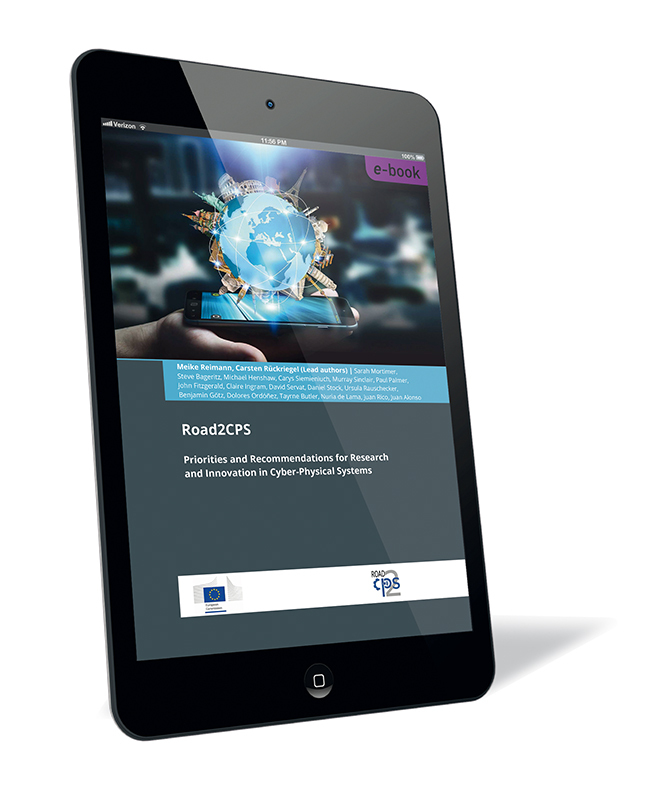 It presents the vision, challenges, research and innovation priorities for a set of highly important CPS technologies, as well as the impact and deployment of CPS in five application domains. The document aims at giving support to the European Commission in structuring the future CPS related Research Programme, as well as at giving researchers in the field and decision-makers from industry, academia, and policy making of the related domains a broad perspective on developments and implementations in the field of Cyber-Physical Systems. 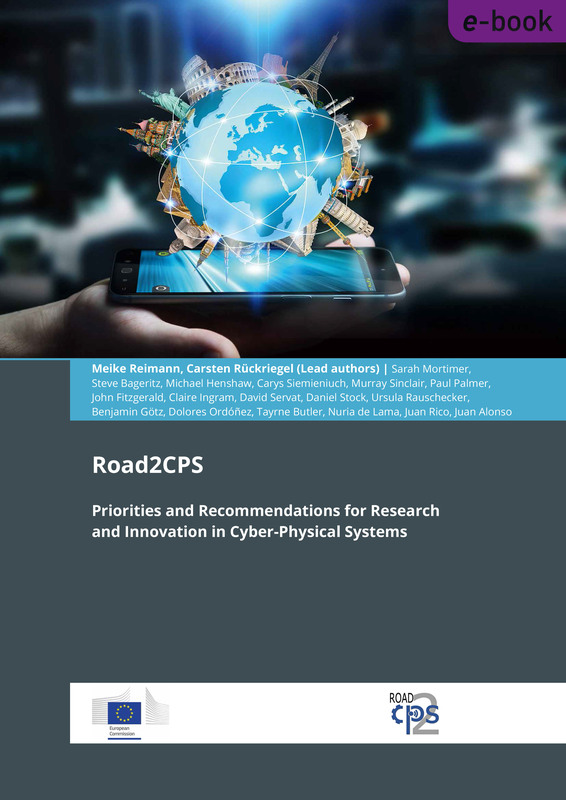 The Road2CPS recommendations for research priorities and innovation strategies serve as a strategic guide for further investment into Cyber-Physical Systems and align future CPS research with needs, trends and demands of European businesses.